Bex Baraona, a 22 year old Enduro racer from Manchester, took the win this weekend at an event full of sunshine, big smiles and supportive riding from nearly 150 women. 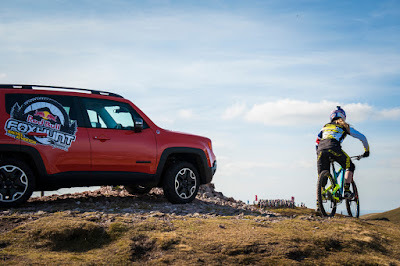 Rachel Atherton headed up the event which had more of a festival vibe than a race, with food and live music in the Red Bull tipis, and yoga sessions to stretch out tired limbs. The event entries had sold out within hours as mothers raced to support daughters, cycle groups flocked en masse and seasoned racers mixed it up with a lot of first-timers! 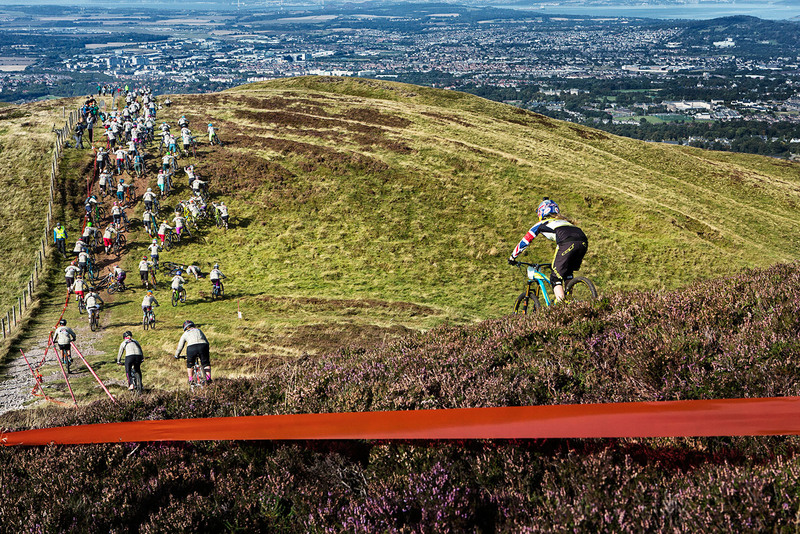 The Scottish weather was very kind and stayed dry the entire weekend with glorious sunshine for Sunday's Finals! The course was a little more technical than last year with the start on an adjacent peak, plus rocks, heather and fast pedal sections, some jumps and a dual slalom section. There were lots of B-line options so that less-experienced riders wouldn't suffer! A seeding run on Saturday sorted out rider position on the mass-start grid and Rachel was delighted to see three of the junior girls from the British Downhill Series category that she sponsors and mentors make the top 20 for places on the 2nd row of the grid. Rachel - playing "the fox" - set off about 100m back from the pack, after a small gap to allow for the thrills and spills of a steep climb immediately after the start. The air positively rang with whoops and shouts as Rach bore down on the pack. 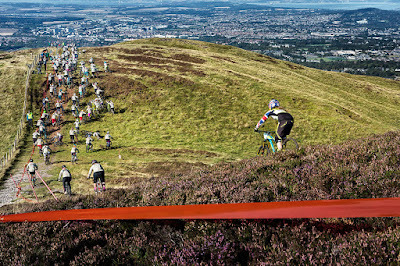 She passed over 80 riders as 35 managed to elude her for the entire course. Rachel said: "I deliberately hung back a bit at the start because i wanted to be right in the mix for this run. It is absolutely awesome that all the riders have come out here to have a go this weekend. The level of riding at the front of the pack is really high but I'm just as stoked with those guys at the back who aren't that experienced but came out and had a great time! Big shout out to team physio Laura for 48th place!"